Part tour-guide, part problem-solver and 100% friend: our Tour Managers are destination experts and there for our passengers every step of the way, helping to make your tour as safe and fulfilling as possible! Whether to color in your destination with fun first-hand stories or recommend the best restaurant for a night out (and the best way to get there!) it’s no wonder when our passengers return home, one of the first things they rave about is their Tour Manager. We’re fortunate to have a team of Tour Managers who are passionate about our tours to Cuba and can’t wait to share their experiences and expertise with you! Meet Terri, Frank, Tracy and Gary. What are some of your favorite Cuban experiences? Whether it’s seeing the joy radiating from the face of a passenger when she was given a student painting at the art school we were visiting or helping my group members bargain for handmade linens to take home as gifts for family and friends — my favorite experiences always seem to revolve around helping travelers experience the real Cuba. What’s one of the most interesting things to happen on one of your tours? I once helped a passenger propose to his girlfriend! Seeing her tearful happiness as she accepted was so moving. Interesting Tidbit: I was actually in Havana the day Fidel Castro died! It’s been a tough five weeks for Cuba, one of my absolute favorite destinations. So I wanted to address the hundreds of travelers we have booked on a Cuba tour, as well as anyone who is still thinking about traveling there. Travel to Cuba is still completely legal for Americans, and when you go there, you have absolutely nothing to be afraid of. I don’t know if I can say this enough! Liz, one of our Reservation Agents and a SUPER fan of the Downton Abbey show, shares a little insight on what it’s like to wine and dine at Highclere Castle, AKA the real Downton Abbey, during the very exclusive annual Christmas Ball! Downton fans, I couldn’t be more excited to let you know—if you want to don your finest and celebrate the holidays at Highclere Castle, as I did (and believe me, you want to! )—well, you can. For the fourth year in a row, Friendly Planet is offering some highly coveted spots to the annual Christmas Ball, and they’re on sale now! Your invitation to the 2017 Downton Abbey Christmas Ball has arrived. Long before I tumbled into travel and began exploring the world for real, I did plenty of imaginary exploring through the eyes of my favorite authors, particularly the Irish. It would be many years between the time I discovered the poetic magic of WB Yeates and his stunning County Sligo, or James Joyce’s complex and magical Dublin, before I actually got to visit these places myself. Seeing Ireland with my own eyes clarified for me the lyrical beauty of its literature, which comes, in part, from the magnificent scenic landscapes everywhere you go. 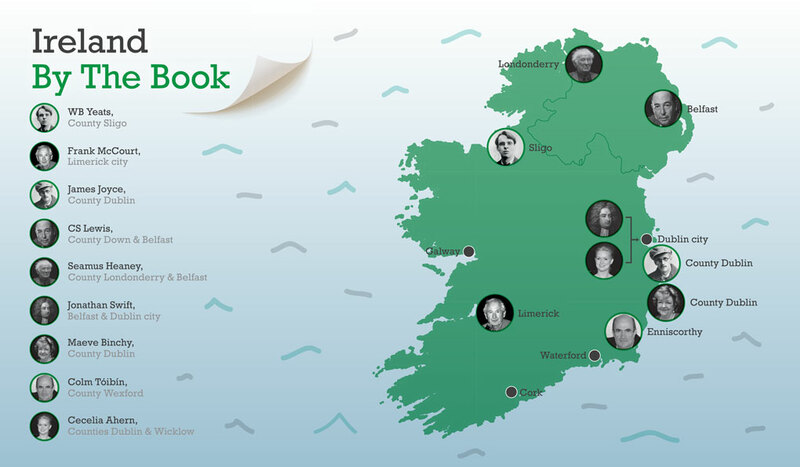 While there’s plenty of culture, music, history and nature throughout the Emerald Isle, the literary heritage of the country is part and parcel of the experience. Any seasoned traveler will tell you how important it is to prepare for a trip abroad by learning the basics about your destination. One very helpful tip: learn to speak a few words of the country’s language. 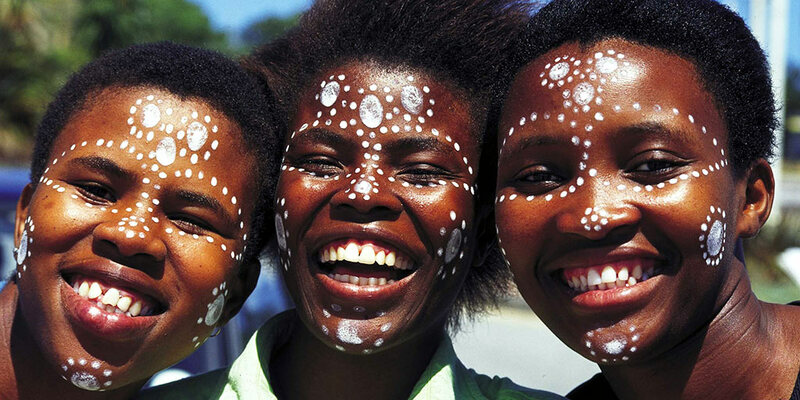 For Americans visiting South Africa, you can check this ‘to-do’ off your list! Though South Africa actually has 11 different national languages, you’ll find that English is widely spoken. But like English speakers in other parts of the world, South Africans have their own slang words that might leave Americans scratching their heads. Our own Product Development Manager, who was born in South Africa, has compiled a list of South African slang words and their ‘American’ translations. Take this list along so you can preempt any confusion and even impress your new South African friends with your knowledge of what’s in. Tapas are small savory dishes often served as a side dish to drinks, and they are ubiquitous in Spain. On our Discover Spain tour, we’ve built wine and tapas tasting into the itinerary. But you’ll also have free time on the main tour, as well as on our Barcelona extension, when you may want to venture out and try tapas on your own. There are several theories as to the origin of tapas. The first is that the thirteenth century Spanish King, Alfonso X, was ill and had to eat small snacks with his wine between meals to maintain his health. After he recovered, he passed this practice as law to maintain the health of his kingdom. Perhaps a more practical genesis lies in the practice of farm workers eating small snacks during the day to tide them over between meals. Although most likely, the practice of tapas has a highly practical purpose. Throughout Spain’s history, bread or small plates of olives or pork were used to cover drinks and prevent insects from getting in, and this food was then eaten. The word ‘tapas’ literally translates to ‘lid’. Whatever the origin, tapas are now a social mainstay of Spanish culture and a must-try for any visit to Spain. So we’ve compiled these three videos, courtesy of the Spanish Tourism office in America, to help you navigate some of the Do’s and Don’ts of tapas etiquette. In early June, we brought to your attention the Trailblazer Foundation and their mission: building wells to bring poor villages in Cambodia clean, drinkable water. The Foundation is in dire need of a new truck so they can continue to deliver well building materials to outlying villages. Their fundraising campaign to raise $7500 is coming to an end on Sunday, August 7th. Trailblazer was actually able to sell their old truck for $1500 and put the money towards the campaign. They now only need $1830 to reach their goal. That’s only 92 people donating $20! Once Trailblazer reaches their goal, we will match a final $2500 so they can purchase a brand new truck and continue serving the poor of Cambodia. If you would like to help us and Trailblazer reach the goal, you can donate any amount to their campaign on IndieGoGo. And if you haven’t already, read below to learn more about Trailblazer and their amazing work. I recently returned from a press trip to Nepal, where I accompanied a small group of journalists to check out the country after last year’s devastating earthquake. While there, I got an up close and personal look at what it means to live in a country that depends upon tourism for its livelihood, and how crippling it is when the tourists stop coming. Like Nepal, Ecuador has just suffered a massive earthquake of its own, and while the effects of the quake in the major tourist areas of the country are not as significant in Ecuador as in Nepal, there is a real fear among Ecuadorians that travelers will cancel or simply not book trips to the country. Like Nepal, Ecuador’s people are poor, and they rely on tourism in a big way. The country’s major tourism centers, Quito, Cotopaxi, Cuenca, the Amazon, the Galapagos, to name just a few, have been spared the earthquake’s devastation, which appears to have been limited mostly to the country’s central coast. In most of the country, hotels are functioning normally, airports are open, and touristic activities are continuing as usual. Friendly Planet has an extensive program to Ecuador, and fortunately, none of our itineraries have been impacted by the earthquake. All of our partners in Ecuador are fine, including our passengers who were in Quito at the time of the earthquake, and our tours are proceeding as usual. I’m happy to report that despite dire predictions that tourism to Ecuador would crash after the quake, we have not had any cancellations, and reservations continue as usual. If you’re planning a vacation to Ecuador and the Galapagos, please take a moment to read this short piece by Laura Dannen Redmen of Conde Nast Traveler.